The Witchery Sale is now on, but I’m a little disappointed I didn’t catch the online goodies in time, as their range online is now no longer in stock, so head down to the stores for some great finds. There are tunics, tops, pants, shorts, jackets and shoes, but I was distracted by their new cosmetic range, not a varied range at the moment, but I really like what I see. 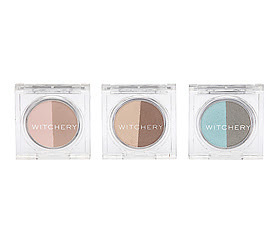 The colours are earth tones and works great for day and night and should suit most skin tones. 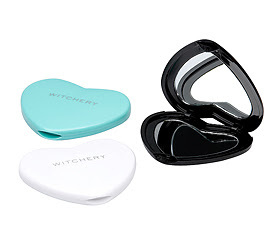 I particularly love their ‘Heart Mirror Compact’, so Witchery. The plus on these cosmetics are they are so affordable you’ll want them all!